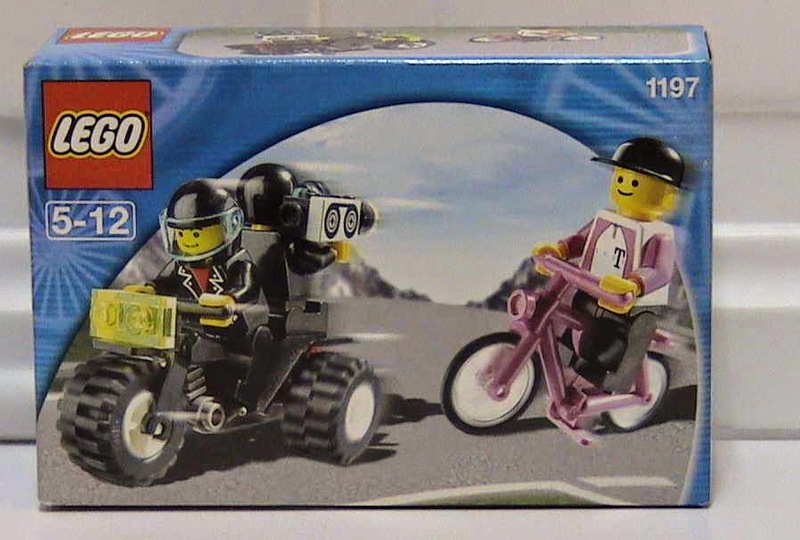 German Telekom Tour de France promotional set. 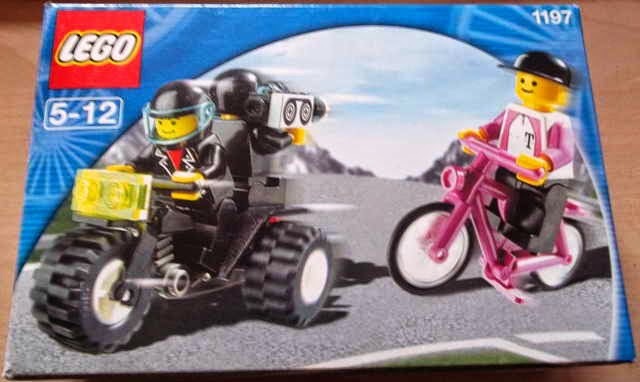 come with a pink bicycle and a black tricycle. 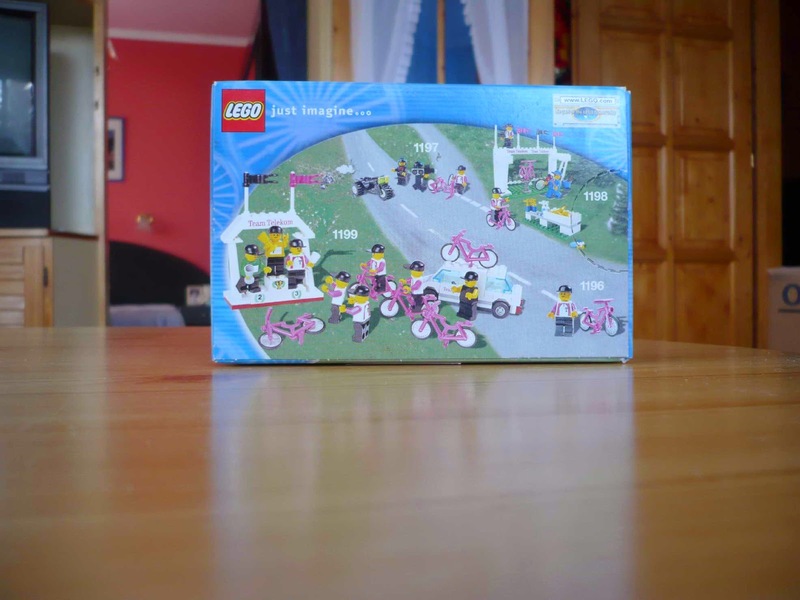 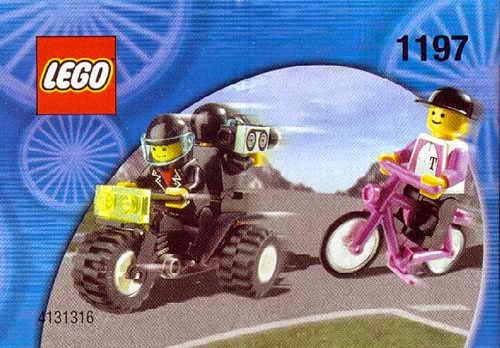 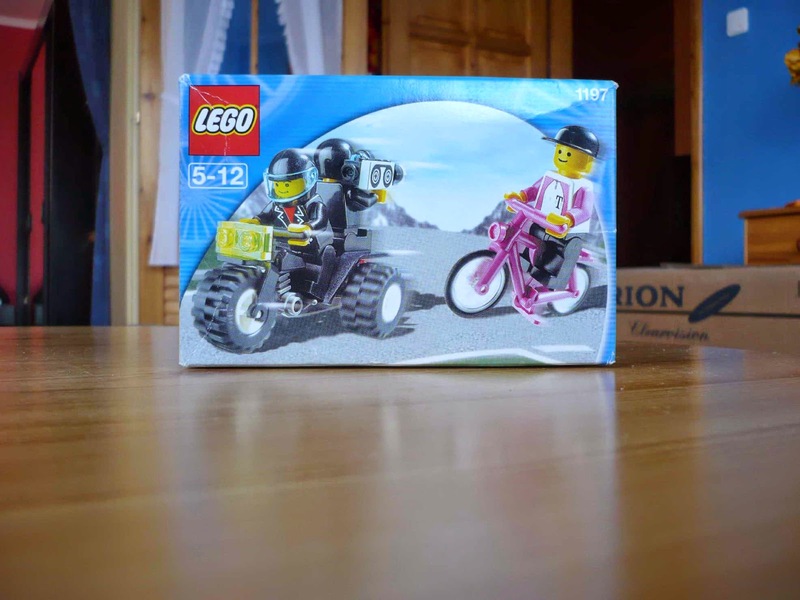 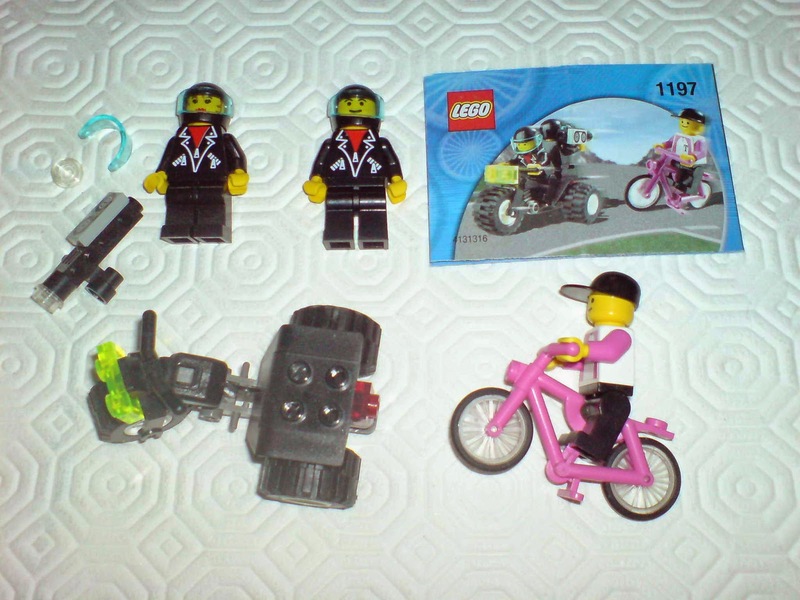 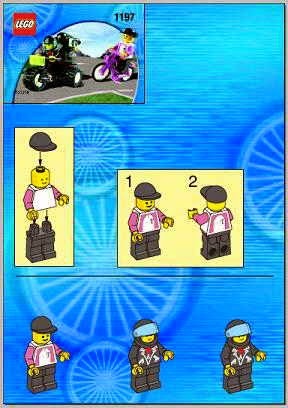 minifigs included a cyclist minifig, a rider minifig and a cameraman minifig.